Yip Man (葉問) [October 1893 - December 2, 1972] was the first martial arts master to teach the Chinese martial art of Wing Chun openly. He had several students who later became martial arts teachers in their own right, including Leung Sheung, Lok Yiu, Chu Shong Tin, Wong Shun Leung and Bruce Lee. Yip Man was the last Wing Chun student of Chan Wah-shun when he was 70 years old. Yip Man was thirteen years old he started learning Wing Chun from Chan Wah-shun (陳華順). 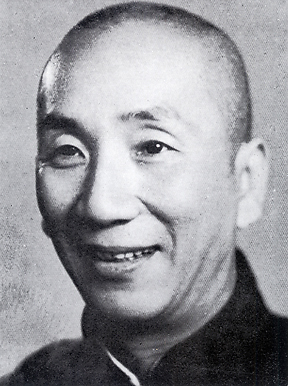 Because of his sifu's old age, Yip Man had to learn much of his skills and techniques from his master's second eldest disciple Ng Chung-sok (吳仲素). Three years into Yip Man’s training Chan Wah-shun died. One of his dying wishes was to have Ng continue training Yip. At the age of 15 Yip man moved to Hong Kong. At age sixteen, Yip Man attended school at St. Stephen's College in Hong Kong. It was a secondary school for wealthy families and foreigners who lived in Hong Kong. According to Yip Man's two sons, while at St. Stephen's Yip Man met an old man who was his master's elder fellow-disciple (and so, by Chinese tradition Yip Man's martial uncle), Leung Bik (梁璧), son of his master's master Leung Jan (梁贊). After that encounter, Yip Man continued his training lessons from Leung Bik. By the age of 24, Yip Man had returned to Foshan, his Wing Chun skills tremendously improved. In Foshan, Yip Man became a policeman. At the end of 1949, after the Communist party won the Chinese civil war, being an officer of the Kuomintang, he decided to escape to Hong Kong without his family when the Communists had come to Foshan. In Hong Kong, he opened a martial arts school. Initially, business was poor because his students typically stayed for only a couple of months. He moved his school twice, to Hoi Tan Street (海壇街) in Sham Shui Po, and then to Lee Tat Street (利達街) in Yau Ma Tei. By then, some of his students were skilled enough that they were able to start their own schools. Among the first were Leung Sheung, Lok Yiu, and Chu Shong-tin. In 1967, Yip Man and some of his students established the Hong Kong Ving Tsun Athletic Association (香港詠春拳體育會). In 1972, Yip Man suffered throat cancer and subsequently died on the 2nd of December that same year. In 1964, Kenneth Chung changed high schools that brought him into contact with a new set of friends, one being Ivan Lee. As high school teenagers often do, a group composed of Ivan Lee, Kenneth Chung, and some other friends went out on a camp out. While fooling around with one another, they noticed that Ivan Lee was a superior fighter, and was doing something different. Naturally, they asked what it was that he was doing. He told them that he was using Wing Chun. Ivan Lee was learning Wing Chun from Yip Man. In addition, many of Ivan's friends were students of Lok Yiu, Yip Man's number two student. Yip Man was the obvious person to teach them Wing Chun. Ivan dissuaded his friends from going to Yip Man because they were still just kids. As kids, they were far too young for any in depth attention from Yip Man. Yip Man touched hands with the current young men in the school rarely. When he did, these young men often claimed to never wash the spot. Historically, Yip Man's first crop of students began to start teaching in 1956. From 1960 to 1964, Yip Man became very famous, and Wing Chun was experiencing great popularity. As such, Yip Man's time to devote to "youngsters" was extremely limited, unless they had lots of money, or were troublemakers, which would obviously draw a teacher's attention. They continued to press Ivan to let them learn Wing Chun, however. Ivan directed Ken and his friends to Winston Wan. So, in 1964, Ken and two of his buddies started learning Wing Chun from Winston. Winston was a very good student of Lok Yiu, and became part of a 10-person class. Four to five months later, Winston was immigrating to Canada. At this point, Ken had learned the first set. To not leave them without a teacher, Winston said he would take them to Leung Sheung. Remembering their camping stories from Ivan bout Lok Yiu, Ken and his friends asked the obvious question, "Why not Lok Yiu?" Winston's answer was simple and direct saying that Lok Yiu was not as enthusiastic as Leung Sheung. In 1965, Ken started his training under Leung Sheung. Ken graduated from high school in 1966, and applied to come to the US for his continuing education. His acceptance by the US schools followed soon after. Matriculation classes were then scheduled to prepare Ken for the US schools. Based on his current acceptance to the US, Ken did not devote much time to his studies. The back door of the matriculation school led directly to Leung Sheung's school. Additionally, his father passed away in 1967, and his mother pressed upon him to not leave for the US. Ken delayed his departure from Hong Kong for two years. During these two years, Ken threw himself into Wing Chun. Ken showed great promise to Leung Sheung as a student of Wing Chun. As such, Ken became the example for people asking about a particular Wing Chun move, "How long until I can do this?" Leung Sheung would answer, "Look at Ken. It took him this amount of time." During this period, there were three classes a day at Leung Sheung's school. There was the 9:30 to 11:30 class, primarily for the Graveyard shift Hotel workers. Then there was the 3:00 to 6:00 class for the general students. Now, taxi drivers in Hong Kong did not have a common place to hand off their vehicle to the next shift. The transfer of drivers was haphazard, and could take place anywhere. This meant that those drivers who wanted to take Wing Chun from Leung Sheung wouldn't arrive for class until the end of the 3-6 class. Promptly at 6:00, Leung Sheung stopped classes, pulled out the table, and served tea. So, Ken found himself teaching the taxi drivers who arrived late for the 3-6 class. After this class and the tea, everyone would clean up for dinner. Once cleaned up, around 7:00 p.m., they would pile into one taxi driver's car. Note that the taxi drivers were usually the only working class people who could afford private cars other than the affluent few in Hong Kong at this time. Ken would hop a ride with one of his taxi buddies who were taking Leung Sheung and other classmates to dinner. This was quite a convenience for a high school kid, and they'd let him off at his house around 7:10. Ken would eat dinner with his family and then, maybe, take in a movie. The movie theaters were primarily in the Mongkok area, which was only a 15 minute walk from Leung Sheung's school. Often, after the movie, Ken would hustle back to Leung Sheung's school for an additional workout. This 8:00 to 11:00 class was reserved for white collar workers, teachers, taxi drivers and factory workers. As Aug. 30, 1968 approached, the date when Ken would leave for the US, Leung Sheung began to show the rest of Wing Chun to Ken. The common belief in Hong Kong during this period was that when people left to the US, they wouldn't be coming back. Leung Sheung began to cram what was left of the Mook Jong, the knife set, and the staff set into Ken. Leung Sheung cautioned Ken that he wasn't really ready for this training. He urged Ken to continue his training in the US, and upon revisiting these techniques, hopefully, they would begin to make sense. On Aug. 30th, Ken arrived in the US. On Sept. 2nd, he met Ben Der and began teaching Wing Chun in San Francisco. In June 1973, Ken got married, and prepared to return to Hong Kong. 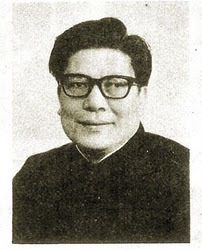 He held a banquet May 1973 in San Francisco Chinatown and established the Wing Chun Student Association. The Wing Chun torch in the Bay Area was passed to six of his students: Ben Der, Sidney Wong, Gate Tsao, Nelson Fong, Mike Lam, and Bradford Louie. After touing Europe and various points around the world, Ken returned to Hong Kong. In the fall of 1973, he returned to Leung Sheung's studio on Nathan Rd. in Kowloon. By this time, Ken had developed quite a bit of power. One of his moves was especially effective, and met little resistance when he applied it to various boxers and other martial artists, even other Wing Chun practitioners. While in Leung Sheung's studio, he would use this "move." He had little trouble defeating all of the students in the studio except two, Ah Cheung and Ah Tak. Leung Sheung just shook his head at the young Chung. Ken was puzzled at Leung Sheung's response, but had a deep belief that Leung Sheung was trying to tell him something. Ken continued to go to the studio and worked out diligently. Leung Sheung did not touch Ken's hands for approximately six months after Ken's return to the school. Finally, Leung Sheung and Ken worked out for the first time in the spring of 1974. Leung Sheung was currently 55 years old and suffered from a liver or kidney problem. During this workout, Ken felt the opportunity to apply his "move" and did so, full-power. One has to understand what happened next in the layout of the room, and Ken's intent. At the point Ken tried his "move," Leung Sheung's back was close to a plate glass window. Across the room, about 6 feet away, was a bench. Note that Ken's intent was not to "take" his teacher, for Ken respected Leung Sheung far too much to try that. It was just a result of energy building up as the workout continued, and it just released, as it always had. Ken recounts the episode as the time Leung Sheung "benched" him. No sooner had he started the move than Leung Sheung deftly dropped Ken's hands with one hand, and placed his other hand on his nose. By the time Ken realized his predicament, he was sitting on the bench on the other side of the room. Ken relates that, at 26 years of age, he began to learn Wing Chun all over. Ken traveled back and forth between the US and Hong Kong until 1978. He brought Ben Der back with him in 1976 on one trip to meet Leung Sheung, and returned to the US to stay in 1978. From 1978 until late in 1982, Ken had no desire to teach Wing Chun. He and Ben simply conducted seminars and workshops. In 1982, Ken met Eric Chung through Ken's aunt. During dinner one evening, Eric and his cousin started to talk about martial arts, and engaged Ken in the conversation, knowing nothing of his background. Eventually, Ken asked about which martial art they were learning. They responded, "Wing Chun." Ken responded, "Show me." After a bit, he commented that what they were doing wasn't really Wing Chun as Leung Sheung had so recently impressed upon him. He went on to display a little. Eric and his buddy immediately began to press Ken to teach them. Ken refused, saying he really didn't have the time nor the facilities to train them. They insisted. Ken again refused. The conversation played out for some time. Eric and his buddies finally said that since Ken couldn't come to them, they would come to Ken at his house to learn. So, in Feb. 1982, in his garage, Ken started teaching Eric, and some of his buddies: Billy Kwong, Wilson Ng, Patrick Au, and Tom Lee, the latter two being the core group of teachers in Eric's class. Patrick had gotten his primary Wing Chun training from Wong Si Wing. Wong Si Wing was the brother of Wong Kiu, someone whom Ken had known in Hong Kong back at the beginning of his training. Tom Lee had gotten his primary training from Wong Sheung Leung. The class grew very, very quickly, with workouts spreading to the front yard, the driveway, etc. which proved to be quite a distraction to the neighbors. So, to keep peace in the neighborhood, the class was moved to Pena Mohai and eventually migrated to the warehouse on Leland, where the classes are currently being taught. The Southern Chinese martial art of Wing Chun Kuen is a style of kung fu designed for close range fighting. The art is optimized to allow a smaller, weaker person to gain advantage against a larger stronger one. In legend, Wing Chun was created by a woman. The nun Ng Mui, taught her style to a young woman named Yim Wing Chun. The young woman in turn used the art to defeat a much larger, stronger bandit. Yim Wing Chun, also taught the style to her husband, who then named it after her. It is doubtful anyone can historically prove whether or not this is the true genesis of Wing Chun. While the largest proportion of Wing Chun practitioners are men, the art retains a feminine essence embodied by the legend. Wing Chun is a conceptual and practical martial art. Its hallmarks include directness, economy of motion, conservation of energy, emphasis on one's own and the mutual centerline, precise positioning, balance, sensitivity, and calmness. It is a system of movement which develops and relies on relaxation and a properly aligned body structure. Applying Wing Chun principles, the practitioner aims to defeat an attacker by "borrowing" their strength and using it against them, in a natural and relaxed way. In contrast to many other styles of kung fu, Wing Chun develops skill in the use of small, subtle movements, rather than large, strong motions that may rely on youthful strength or athleticism. Defensive and offensive motions are executed within the practitioner's own range. There are no high punches and no kicks higher than the waist. Wing Chun prefers a standing position, rather than ground fighting or grappling. The Wing Chun training system includes 3 empty hand sets, a wooden dummy set, and two weapons forms including long pole and butterfly knives. The first training set is called "Siu Lim Tau" which means "The Little Idea." This set introduces the Wing Chun body posture and basic hand positions. The underlying posture is always to be maintained, and recovered immediately if lost. The posture is based on the centerline, which can be envisioned as an axis that runs vertically through the center of one's body. Training is aimed at refinement of this posture and centerline awareness, which provides the basis for controlling an opponent and generating relaxed but powerful attacks. There are five key check points in the basic posture: sink in the stance, knees in, hips forward, head up, elbows in and down. Sinking of the stance lowers the center of gravity and helps to "root" and stabilize the practitioner. The "knees in" stance develops the legs for proper Wing Chun movement, and provides protection for the lower body. With hips forward, the pelvis is tilted just enough to vertically align and stack the spine. When the head is up, it is as if suspended from a string; this improves balance, and offers some protection for the chin and neck. The shoulders must be relaxed; with practice over time, this has a calming effect on both body and mind. With the elbows in and down, the body is protected for defense, and in proper position for generating structural, non-muscular attacks. Wing Chun does not rely on upper body strength, brute force, or youthful athleticism, so there is no need for pushups or pumping iron. Relaxation, awareness, and sensitivity of body and mind are fundamental aspects of Wing Chun. Relaxation allows the Wing Chun practitioner to feel and respond to the opponent without signaling or "telegraphing" one's own intentions. The resultant awareness and sensitivity allow the practitioner to respond quickly and according to circumstances, rather than with over commitment or emotion. Wing Chun is a physically and intellectually stimulating endeavor, offering a lifetime of cultural and personal enrichment. It is also a lot of fun! Any and all insights I may have are owed to our teacher, Kenneth Chung. Any shortcomings in my understanding or expression belong wholly to us. Copyright ©2001, Mark Stoddard and Kathy Jo B. Connors. All rights reserved.